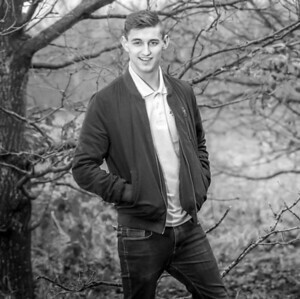 My name is Liam, I am a young, Bristol-based photographer with plenty of experience, as you can see by the wide range of photo-shoots, weddings, etc. displayed across my website. My company has been up and running for the past 5 years, photography has been a passion of mine for a long time and I feel so lucky to be able to not only call it my hobby, but my job too! I love being able to capture special moments and memories for families, and provide them with pictures that will last a lifetime. LiamGast Photography offers you professional photo-shoots for half the professional price! Previously, I offered a range of services, from Family Photo-shoots to Wedding Photography, to Photo-Booth Services, etc. however, due to high demand I am currently focusing on Wedding & Commercial Photography. Whether you are newly engaged and looking for a reasonably priced photographer, or aspiring model looking for a well-priced photographer, or even are a business looking for some photos for promotional use then I can help! Please enquire and let me know what it is you are looking for - even if I haven't mentioned it here. I look forward to hearing from you!